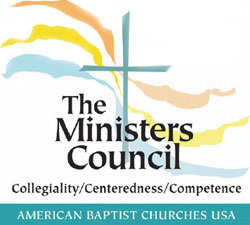 The Chapter Representatives (formerly called Ministries Team) meet regularly by phone and email, and comprise a part of the voting body at the Annual Meeting. Representatives act as a vital liaison between the national Ministers Council and their own Local Chapter. Chapter Reps are responsible for nurturing strong relationships between the local level and the increasingly networked national level. By participating in regular gatherings to share needs, joys and resources, they ensure that our professional organization works cohesively, collaboratively and creatively to meet the ministry leadership needs of our day. The Chapter Reps are accountable to the national Leadership Team, and are convened by their Coordinator, Rev. Atula Jamir of the Leadership Team. Atula's email address is jamiratula@yahoo.com. Dan's email address is missionsdan@hotmail.com. Jacki's email address is jacki@livingwellministries.net.